That is why NEC’s CSR initiatives have been an important part of our culture and is even reflected in the NEC Group Vision 2017. 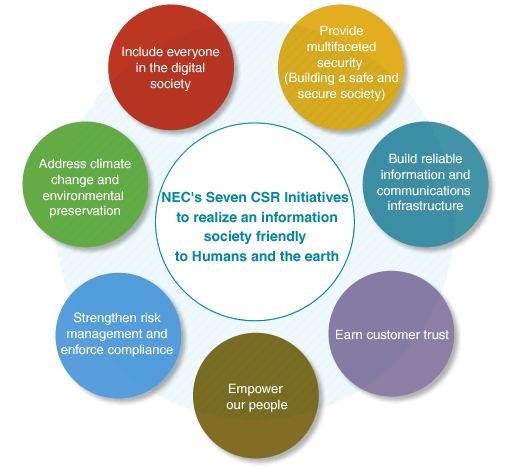 At NEC, we consider CSR (corporate social responsibility) initiatives to be inseparable from corporate activities. Find out more about NEC’s Severn CSR Initiatives.